Ontario has proven fertile ground for expansion sides this winter and encouragingly enough, they’re all well outside the Toronto area, the hotbed of Canadian footy. There’s the Ottawa Swans in the Nation’s capital, the Cambridge Warriors in the Kitchener/Waterloo area (watch for an article on them in a few weeks) and a third side in the city of London, nicknamed the London Stallions. Home to the University of Western Ontario, the city of 335 thousand is located about 2 hour’s drive southwest of Toronto. If London sounds familiar footy-wise, that’s because a previous side, the London Magpies, went under after the 2005 season. The Pies struggled on and off the field having trouble fielding a side for their final few matches before missing the playoffs and folding. Still, the new side (and it is new) is optimistic. Bill Frampton, the Vice-President of AFL Canada, is the President of the new side. Frampton is one of the founding fathers of Canadian footy, serving as the first president of the Canadian Australian Football Association (CAFA), which became AFL Canada only a few years ago. He also helped found the Hamilton Wildcats, but a move to the maritimes, combined with an unsuccessful try at starting the game there, he returned to Ontario three years ago. While one of the initial players, Frampton focused more on the organisational side of the house as soon as there were enough to replace him, although he does umpire OAFL matches regularly. The side chose a new name not only to symbolise a break with the old club, but to also try and cater to the locals. “I thought of the Stallions name after thinking about this for some time, looking for something that could tie in with both of the biggest sports organizations in London, the junior hockey Knights (Canadian Hockey League Champions in 2005) and the University of Western Ontario Mustangs. Stallions are what knights rode in the old days, it was a natural choice,” said Frampton. The team colours of Green, Gold and White are also from the London Knights. The club has what Frampton describes as “A committed executive” and has already begun fundraising, as well as some pre-season training and signing up players. 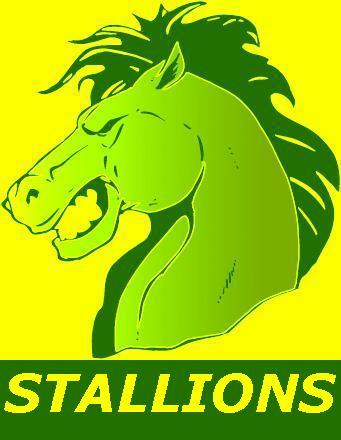 The Stallions are also pursuing “meaningful sponsorship”, so we’ll see where that leads. Still, starting a new club in such a low-profile sport is never easy and London will prove somewhat difficult. Frampton would like to see the travel issue adressed, as the league’s Toronto ground at Humber College sees most of the league’s games and means more travel for the outlying sides. Frampton sees this being countered by a weighted schedule, which would see all teams play roughly 3 quarters of matches at their home grounds. The London side’s chances do look good, Frampton is about as experienced a team manager as you’ll find in Canada, and they, like the Ottawa side, have a solid plan and dedicated staff. Now it’s all about whether the team can hold together through a bumpy first few weeks of matches.